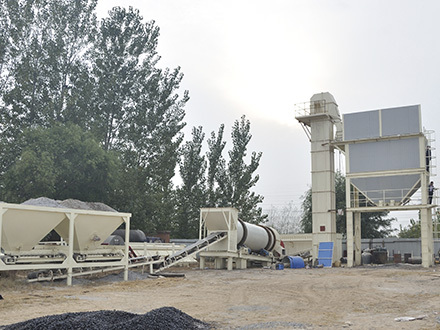 Continuous Drum Mix Asphalt Plant is very different with batch asphalt mixing plant. 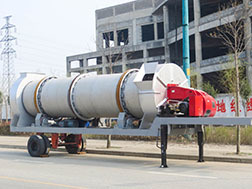 It produce the asphalt mixture in the drum which also dry the aggregate continuously. - Mobile/portable wheeled chassis as optional. 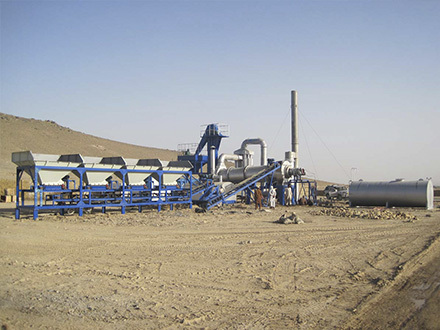 - The application of latest international weighting technology, can guarantee the precision of each material. 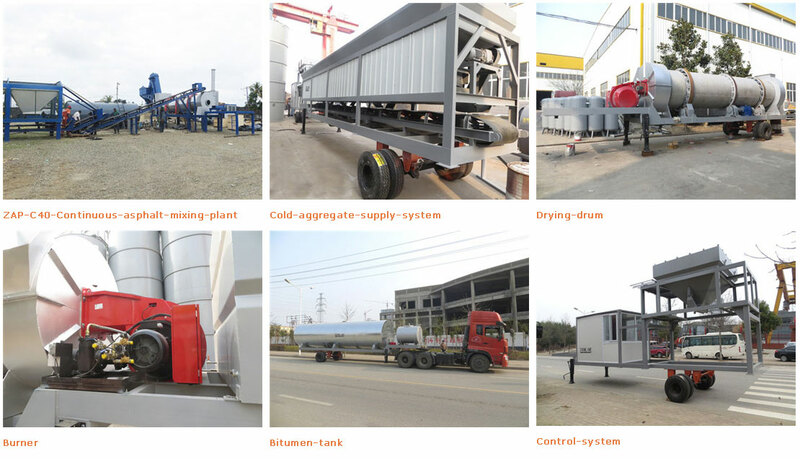 - Counter flow drying drum design, drying efficiency is high, save energy. 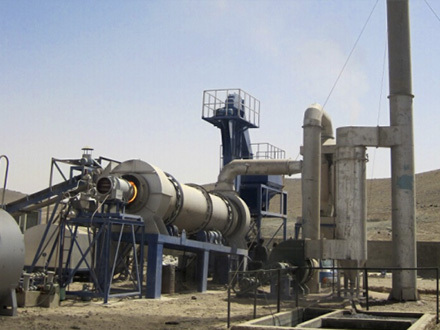 - Integrated highly efficient burner on one chassis. 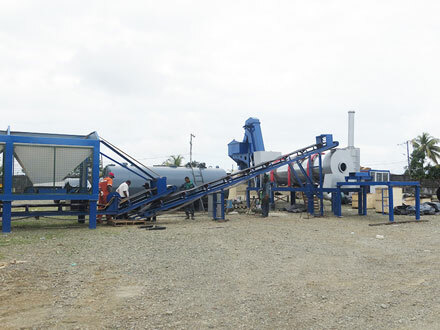 - RAP system and filler system can be optional part. 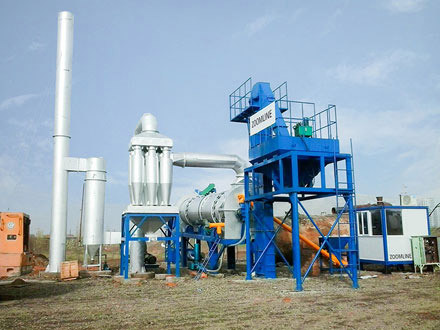 - Bag house dust filter control emission be lower than 20mg/Nm3, eco-friendly. - Adopt USA Dopont NOMEX filter bags, high temperature resistance and long service life. - Intelligent temperature and control system. - Adopt Germany SIEMENS electrical element, working stably even in harsh working environment. - Adopt Japan ORMON PLC and touch screen, have high data processing capacity, various operation data can be saved real-times. - Multi-language compatibility, display language can be selected according to the customer’s preference.